Hamburg-based agency Kolle Rebbe has created an interactive donation box in the form of a foosball table for German charity MISEREOR, with the 2 euro donations going to benefit the children of Rwanda and South Africa. 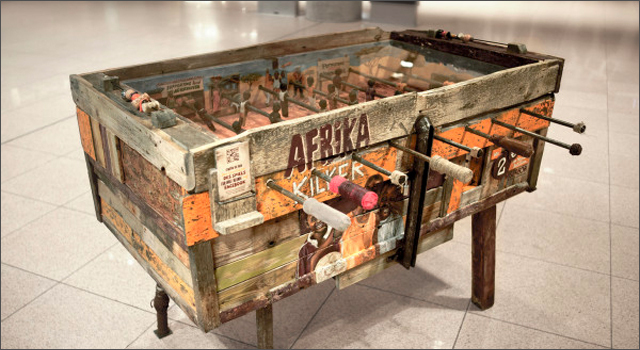 But Afrika Kicker is not a typical Foosball table, with smooth uncluttered playing surface. Players challenge each other on a bumpy clay surface, and must negotiate obstacles like a tree and well hole, just like in some real African football matches. Players can broadcast their Afrika Kicker match via a Livestream, or just keep their Facebook friends updated with the score.